With climate scientists painting an increasingly dire picture of the impending effects of global warming, most of the world is focusing on ways to limit carbon emissions and build towards increased sustainability across industries. Manufacturing and supply chain management will be no exception, and it will likely be increasingly incumbent upon manufacturers, shippers, and freight forwarders to account for their waste and emissions and take steps to reduce them. Not only will this require a big commitment, it will also require a high degree of visibility into one’s operations. At this very moment, how many of you reading this can say with certainty which elements of your supply chain produce waste in what quantities? In the next year, we expect this number to go up, as carbon emissions become an important KPI within many businesses. We spoke in the opening paragraph about the extent to which computers impacted the early days of supply chain management and continue to impact it now. That doesn’t mean that everyone’s supply chain is finished digitizing—far from it—but it does mean that even companies that are miles away from achieving Industry 4.0 operations are still collecting massive amounts of data. In the coming year, we expect that it will become increasingly uncommon for that data to go unused. Where advanced prescriptive and predictive analytics were once considered luxuries, they will increasingly be seen as an indispensable part of administering a supply chain. Why? Because without them, the large caches of data that are routinely collected across the supply chain couldn’t be leveraged into value-added propositions like improved forecasts and waste reduction—two things that will be necessary for keeping down costs and keeping companies competitive. Just as new technology is changing the way that we do businesses, it’s also changing the way that our customers do businesses with us. The rise of digital infrastructure has given us the subsequent rise of e-commerce, which has changed and continues to change the way that customers learn about and ultimately purchase various products. As customer expectations evolve, businesses have to evolve along with them. One of the most significant ways in which changing customer expectations is driving necessary operational change is the shortening of product lifecycles. At the moment, this may be less true in the auto industry than elsewhere, but manufacturers across multiple industries are discovering that new products and new innovations need to be turned over much more quickly than ever before, with many existing products now reaching obsolescence sooner than expected. This new reality requires a high degree of organizational flexibility and a much “leaner” value chain than many businesses are used to. Production plans have to be developed and implemented more quickly and demand needs to be estimated more precisely in order to account for the low likelihood that a large buffer stock will come in handy. 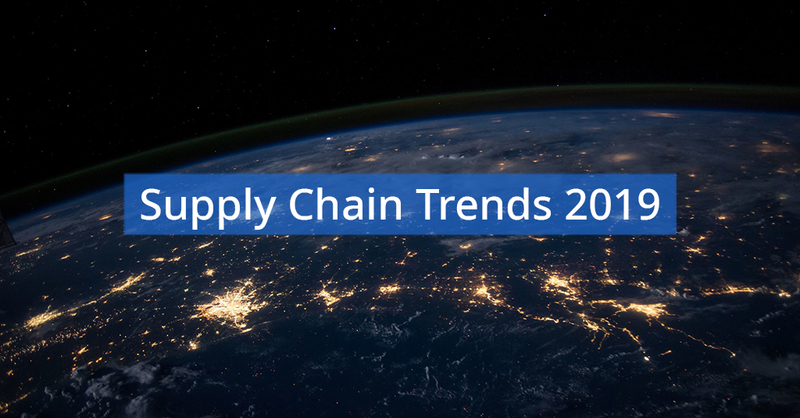 In order to meet these new requirements, businesses are going to need smarter supply chain planning and more intelligent processes, e.g. real-time demand tracking, “what-if” scenarios, etc. While we’re on the topic of increased customer requirements: services like Amazon have set the bar a lot higher for tracking and shipment visibility, and those expectations are shifting even among B2B customers. People increasingly expect to know when a given shipment has completed each stage of its journey, just as they expect delivery dates to hue extremely closely to advanced estimates. For companies to offer this level of visibility to their customers, they’ll increasingly need to bolster visibility within their own supply chains, taking a much more granular approach to tracking each product as its transformed from raw materials into a finished good and subsequently shipped to its final destination. This will require digitization and the adoption of IT solutions that help connect disparate points on the value chain—things that may seem onerous. But it will also help to drive a number of intra-operational benefits, from reduced silos to increased collaboration. This one is related to the last two, but it’s a topic that certainly bears its own mention. One of the hallmarks of effective Industry 4.0 integration is an upswing in product customization, but the supply chains of the future won’t be interested in customization just for its own sake. Rather, customization will be part of a broader strategy that includes ever more granular segmentation of customer-bases. This will mean collecting data on your various customers in order to segment them into different smaller groups, so that you can be sure that your production and shipping workflows are specifically aiming to meet the needs of each individual group. In this way, businesses will be able to provide higher quality service and better adapt themselves to changing markets. As supply chain management changes and evolves, this will be one of the ways in which businesses can make sure that technological advances are being leveraged toward the ultimate goal of better providing for clients and customers.